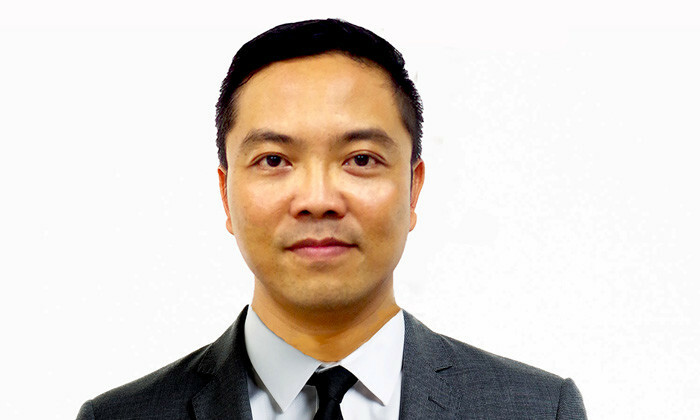 George Khang, HR director at ABWIN, shares how the company’s C&B plan helped increase the job satisfaction of its employees as well as tips on how to satisfy Millennials. As a one-stop service provider in the pre-owned automotive industry, one of ABWIN’s key challenges is establishing a balanced compensation structure and incentive plan to motivate our sales force to achieve their goals in an increasingly tough business environment. To support ABWIN’s growth strategy, our senior management recently made a conscious decision to review the HR strategy and build our human capital capability, including establishing a dedicated HR team. Our HR team’s goal is to serve as a strategic partner supporting ABWIN as an employer of choice by attracting, cultivating and enhancing great people with great passion, working for a great purpose. To achieve these goals, we implemented various programmes such as a market competitive compensation benefits structure, flexi-work arrangements, and a range of staff welfare programmes in 2015. As part of the new C&B structure, before salary benchmarking, we conducted a job evaluation to identify the relative job sizes and classified the various job titles into key job bands. Eleven job levels were identified, enabling us to ensure internal equity and develop appropriate career progression pathways for employees. We developed a salary structure comprising 14 salary bands, with each band having a salary range, and roles within each band were established based on job requirements. Thereafter, we decided to peg our salary position at 50th percentile of the industry to balance between maintaining a fixed manpower cost and paying to market, and benchmarked our salary using various sources, including the Ministry of Manpower’s occupational wage survey and the National Wage Council’s guidelines of a 1.5 to 1.7 range spread. Based on that, we developed a salary structure comprising 14 salary bands, with each band having a salary range, and roles within each band were established based on job requirements. As part of the implementation of the salary structure, ABWIN conducted a placement exercise and identified individuals whose salaries would be impacted, and conducted a salary adjustment as part of the annual salary review process. In addition to providing a market competitive basic salary, ABWIN believes in sharing its profits via performance-based bonuses for non-sales staff and commissions for sales staff in addition to the profit-sharing scheme. Additionally, we reviewed our benefits scheme to include benefits such as an employee referral scheme and flexible work arrangements in an effort to attract more talent. As a result of these changes, 92.31% of employees had an increase in job satisfaction and 87.18% were highly satisfied with ABWIN’s C&B package, leading to a decrease in turnover rates from 21% in 2014 to pro rated 7.8% in 2015. The employee referral scheme rewards employees with $1,000 and $2,000 for successful recruitment of non-sales and sales employees respectively. This enables us to source for suitable candidates within a shorter time. Recognising the importance of work flexibility to staff, last year we introduced our flexi-work arrangements which comprised of flexi-hour, flexi-place,and flexi-timing, which allows employees to allocate their daily working hours as long as they meet an average of 42.5 working hours per week within a month. As a result of these changes, 92.31% of employees had an increase in job satisfaction and 87.18% were highly satisfied with ABWIN’s C&B package, leading to a decrease in turnover rates from 21% in 2014 to pro rated 7.8% in 2015. The competitive salary structure also enabled us to better attract and recruit quality and experienced candidates. With the help of the referral scheme, ABWIN experienced a 18% to 27% cost savings as well as reduced the time to fill positions from 40 to 14 days on average. In the future, due to a diverse workforce, we have to continue making benefits more differentiated to cater to these diverse needs. Knowing that Millennials value recognition for their efforts and contribution, we plan to constantly review our performance management system to provide greater clarity and transparency of the linkage between the achievement of goals and rewards and recognition. Additionally, we will work towards balancing tangible and intangible rewards and recognition to engage the workforce.